Free Books, Giveaways, and Audiobook News! In a world where image is ‘everything,’ it’s easy to play the comparison game and come up wanting. I’ve struggled with body image issues most of my life and the constant media presence of ‘the perfect’ body doesn’t help. And focusing on image isn’t a bad thing – in fact, it can be remarkably freeing – if we have the proper frame of reference. From the earliest pages of the Bible, we learn that humans are image bearers of God. In Psalm 8, two crucial ingredients add even more poignancy to the idea that we’re made in God’s image. Did you catch them? We are not only made in his image, but we are on his mind…and his heart. We take up space in the mind and heart of GOD! Should this knowledge make a difference in the way we view ourselves and our fellow journeyers on the road of life? If God has made us in his image, and if he thinks about us and cares for us, it shifts the balance of how we should view ourselves. We are wholly loved. Focusing on his definition of who we are, instead of playing the comparison game with one another, gives a strength, confidence, and compassion we can’t get otherwise. Knowing we are fully loved – so much that we are on God’s mind and heart – should not only make a difference in how we face our own insecurities and heartaches but also how we treat other image bearers. Compassion, kindness, and mercy should be our guides. Why? Because God himself put on flesh in the form of Jesus and had his image marred by abuse, nails, thorns, and our sin, to rescue the other image bearers of the world. His kids. How does knowing you are on God’s mind and heart change the way you view yourself? The way you face your day? Maybe take an opportunity to read Psalm 8 today to remind you of God’s love, presence, and view of you in the span of creation. It’s an encouraging read! I don’t know about other authors, but I have favorite couples in my books. And I LOVE rereading certain elements of my stories, especially when it comes to a few characters that make the top of my list. So I was disappointed in myself when I allowed one of my FAVORITE couples to get forgotten beneath the crazy of a new book release. Seriously! What kind of ‘mama’ author am I? Forgetting my children like that! Today, we are celebrating one of my favorite couples: David and Catherine from The Thorn Keeper. The Thorn Keeper came out on Feb 6, 2016, and was the first time I wrote a bad-girl-turned-good. Something about Catherine Dougall has held my heart ever since. The “story” behind Catherine’s story is one of my favorites. You see, she was never meant to turn good. I hadn’t planned on redeeming her. She was going to go the way of the villainesses of the world and suffer the consequences of her actions in the most lost of ways. But then…my heart wouldn’t let me do that. I had finished writing book 1, with Catherine losing everything, and a still small voice in my heart ushered a statement that changed the course of Catherine’s fictional future. As the request solidified in my creativity, Catherine’s story of redemption began to unfold and it has ALWAYS held a very special place for me because it reminds me of what Christ has done for me. So he called me by name and made me his – despite all of my mistakes, blunder, blindness, and sin. I wasn’t a lost cause. And Catherine became an example of that change. She’s still uniquely Catherine, but…she’s a redeemed Catherine and it was a delight to watch her step from the woman she’d been to the one God had created her to be. Add the charming, unassuming, introverted, and tenderhearted Dr. David Ross – and the sweetness, romance, and adventure takes on a shinier hue. Their story makes me smile and it’s one I LOVE to reread. Yes, I reread my own stories sometimes. Or at least certain scenes. Is there a particular bad-guy/girl-turned good that you’ve read and really fell in love with? Giveaway open 2/25/19 – 3/3/19 11:59pm EST. To enter, comment on this blog post. Open internationally. Void where prohibited. One (1) winner will receive an eBook copy of The Thorn Keeper, provided by Pepper Basham. It was RELEASE DAY for the fairytale-ish collection Finding Ever After. It ALSO happened to be Valentine’s Day 😉 Nice combo, if you ask me. YES! Today’s the day that readers get to step into four different stories all bound together by a fairytale book. It has been such an honor and delight to get to work together with three friends and authors to develop this collection for you all and I’m SO PLEASED you get the chance to enjoy the ‘magic’ of romance through these stories. Today, I’m going to give you a little tour into the real places you’ll glimpse in my novella, Between Stairs and Stardust. It’s such fun to introduce you to James and Stella, an unlikely pair with kindred hearts. Between Stairs and Stardust takes place in Asheville, NC – mostly at the grand Biltmore estate or in my fictional estate of Cravewood. Because I am a devoted admirer of Biltmore, I loved including it into this sweet story AND because it’s a REAL place, I can show you a few of the places Stella and/or James visit. There’s also the walled-garden. Here you can see the conservatory on one side of the walled garden and just near it is the gardener’s cottage – both part of a rather lovely (and snowy) scene. Also as part of that scene is the tea house with a view of the lovely Blue Ridge Mountains. Mr. Vanderbilt owned land all the way from the house to those mountains. The tea house is situated on the far side of a long terrace outside the house’s library. Here’s a video of that too. (the wind gets crazy, so bear with me). There are so many wonderful places to see and explore at Biltmore and because of all the fun research I’ve gotten to do there, I’ve LOVED creating my own two fictional estates. Cravenwood, which you learn about in Between Stairs and Stardust, but also an upcoming estate in the Blue Ridge Mountains known as Glastor Estate. Here are a few more views to enjoy! I hope you’ll take the time to check out this wonderful collection – 4 stories for only $4.99!!! AND, if you want to check out my writing style before you commit, my novella, Second Impressions is on sale for only .99 from Feb 15-16! It’s a great opportunity to take a trip to Bath, England where romance brews between a straight-and-narrow hotel owner and a color-outside-the-lines Austenite. Homicidal bonnets may come into play. So…if you could have one thing from a fairytale you’ve read or watched, what would you want? Evidently, I’m sending out all the Christy-vibes. Several readers have shared how my newest release, My Heart Belongs in the Blue Ridge, reminds them of Catherine Marshall’s classic, Christy. Well, besides being a wonderful compliment, it’s also not surprising. Since Catherine Marshall wrote Christy based on her grandmother’s adventures as a school teacher in the Smoky Mountains of Tennessee in the early 1900s, it would make sense that my story in the Blue Ridge would have some similar themes. And I’m SO glad. I think all I’m missing is a lovingly disgruntled Scotsman! While doing the research for my book (which has a lot of family history sprinkled in – like Christy) I decided to visit the real world of Cutter Gap. It’s definitely NOT like you see it on the T.V. series that came out over 10 years ago (love the t.v series, btw). Here’s a little snapshot into what’s left of the ‘real’ Cutter Gap. The church is the original church that Catherine’s grandmother Lenora (aka Christy) taught in, though it’s been moved to a different location a few miles from the “Christy Mission”. Why? Because trying to get back into the place where Lenora really lived and worked was TOUGH. Narrow and steep mountain road that required a solid vehicle to climb. It gave me a real sense of the remoteness that Catherine Marshall describes so well in her book. I hope you enjoy this little glimpse into Christy’s world…and Laurel’s. Join me and author Laura Frantz as we celebrate the launch of our new releases! Mark your calendar and RSVP on the event page below! There are books that describe places and then there are books that TAKE you to places. Now, this book was kind of like brownies cooking in the oven. It took a while to benefit from the full effects of the work. The start moved a little slowly, but there was a lovely aroma of both conflict and the romance to come, so that when they both came to fruition, the reader is left savoring both the sweetness and richness of the flavor. The friendship between Magnus and Lark was sweet, and Lark’s relationship with her granny and Larkin add so much to the story! I’m a fan of the friends-to-lovers trope, and we are certainly rewarded with the tender romance by the end. If you were a fan of Laura’s book, The Lacemaker, then you’ll enjoy her newest release. There are many similarities in the flow of this story and the careful unfolding of both romance and historical detail. My Rating: I would rate this beautiful story a 4.5 out of 5. It was a pleasure to read this story as my first of 2019. Thank you to Netgalley for making it available. I was not required to write a review. These opinions expressed are my own. And…you all get to meet Jonathan and Laurel!! My Heart Belongs in the Blue Ridge: Laurel’s Dream comes out on January 1 and this story is close to my heart because I take the readers deep into my world of Appalachia. Gleaning from family history shared by my Granny Spencer and evoking a similar ‘storyworld’ as Catherine Marshall’s Christy, this book takes people on a journey to a very different place in time. A place I love because it means family. 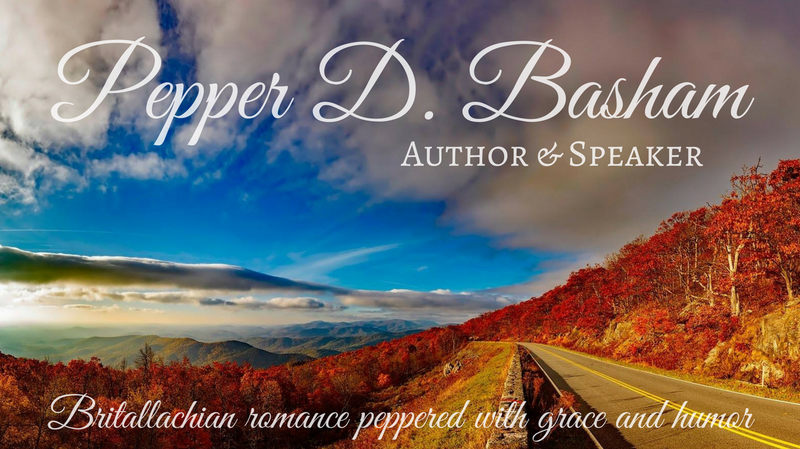 I have high hopes to continue the story with some secondary characters having their own tales to tell, but for now, I can’t wait to introduce you to ALL of these characters, but particularly the world of Appalachia in Maple Springs, NC. Want to know what early reviewers are saying about Laurel’s Dream? Preorder is up NOW and the paper copy is BEAUTIFUL – so…I’m giving away one paper copy here on the blog! Just leave a comment below! I will draw a random winner using random.org on release day! And don’t forget to spread the word about ANOTHER upcoming book that I can’t wait to read! Laura Frantz’s newest novel, The Bound Heart, debuts on Jan 1 along with mine so we’re having a party to celebrate. Save the DATE: January 15th, Laura and I are going to be celebrating releases, chatting about heart-stopping heroes, and discussing the beauty of similar settings on two different sides of the ocean. RSVP HERE! What are you most looking forward to reading about in either one of these books? In December 2016, I received a fun gift from my husband’s cousin, Judy, who ALWAYS sends me a gift for a book release. This gift had a definite Christmas theme and not just ANY Christmas theme, but…Jane Austen. Judy sent me Mr. Darcy’s Night Before Christmas. Well, I read it on video in 2016, then in 2017, so now it’s become a little tradition. It’s such a fun book and it’s even more delightful to share it with friends. So…if you’re up for a little storytelling with hints of Austen, then grab your snack of choice, snuggle up with a cozy blanket, and enjoy this fun twist on the classic, Twas the Night Before Christmas. Clement Clarke Moore’s Christmas classic meets Jane Austen’s Pride and Prejudice when Mr. Darcy gets his own visit from St. Nicholas. In this parody of the beloved original poem, Santa teaches Darcy the true meaning of the holiday and helps him get what he’s always wanted—a wife! JULIE PETERSEN has fond memories of hiding under her covers at night with a flashlight just so she could finish whatever chapter she was on and a few more after that. When not reading Jane Austen, she can be found singing and spoiling her nieces and nephews. Julie currently lives in Utah. SHERYL DICKERT has illustrated four other Night Before Christmas books in this series. She lives in Salt Lake City. Tune in on Facebook this Friday for another fun story read by yours truly!